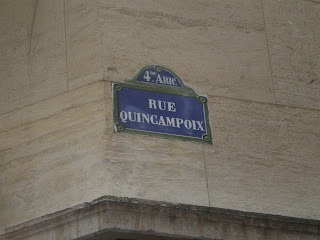 ...who's got his lastnamn from this street: Quincampoix. 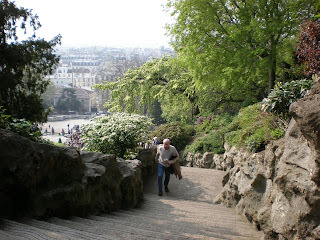 These are the stairs Amélie makes him follow to find the next clue in search of the photoalbum. 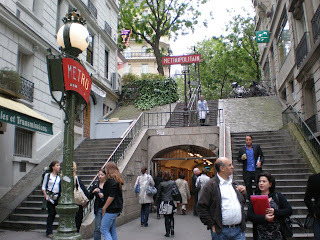 And this is the metro-station that Amélie uses a lot in the movie. 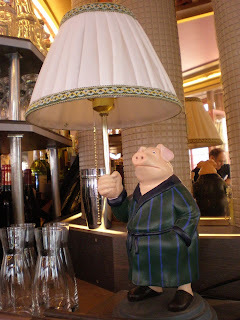 It's called Abbesses. 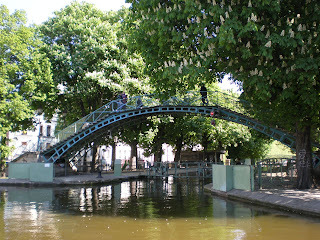 This should be the canal lock on Canal Saint-Martin where Amélie skips stones in the beginning of the movie. 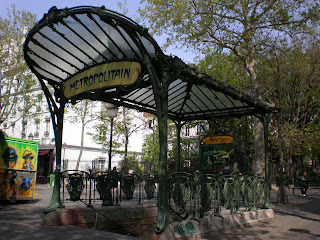 This metro-station is called Lamarck-Caulaincourt where Amélie leaves the blind man after walking with him on rue Caulaincourt and explaining to him all the things she sees around her. 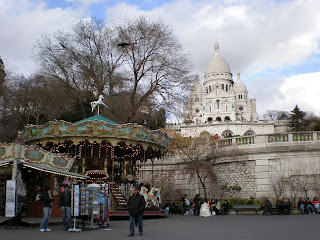 There's still plenty of more places to visit, but some of them are outside Paris, and I have to admit that I'm a bit too lazy for that :) Just to visit all these places was enough! Now I'm just looking forward to be able to watch the movie again once I get back home, because then I can be like "Hey! I know that place! I've been there! Yay!" like all the time! Hihi.